This website presents genealogical and biographical information on members of a family who can trace their ancestry back to one Jonas Man who was born in Hambleden, Buckinghamshire, England in 1596. 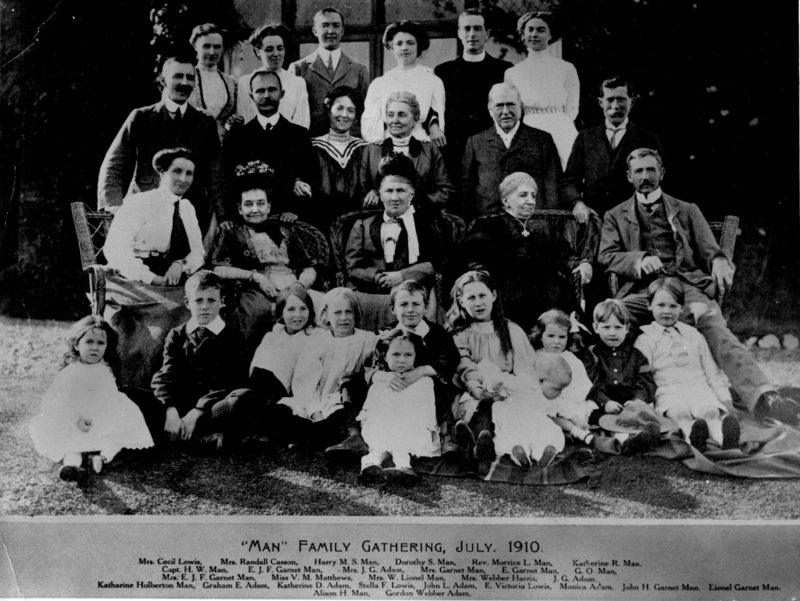 Most living members of the Man and other families are not included on this website unless permission to do so has been given. If you have comments or wish to make any additions or suggest changes please use the contact form above. 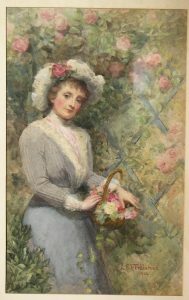 Below, Beatrice Angela Crofts, the daughter of John David McBride Crofts and Jane Britton Dowell, and the wife of Edward James Fowle Garnet Man by the artist Letitia E. H. Tiddeman. The painting was done in the year of Beatrice’s wedding (1902). She seems to have a ring on the correct finger, which is likely to be for engagement, whose transitional state is being captured in paint. The scene, headdress, and posture are to evoke the deity Flora, very much an image of its time. This website also contains information and links to other families who have married into this MAN family and vice versa. A GEDCOM file of the data included on this web site is available on request. Much of the data gathered in the GEDCOM file is thanks to the hard undertaken by Edward MacPherson Man. The years 1861 – 1864 were significant in a deadly sort of way for this group: Henriette Marie died on 15 November 1863 probably as a result of complications giving birth to her daughter Harietta. Emma Elizabeth died of tuberculosis one day later on 16 November 1863. Both Morrice King and Harry Edward died in 1864. 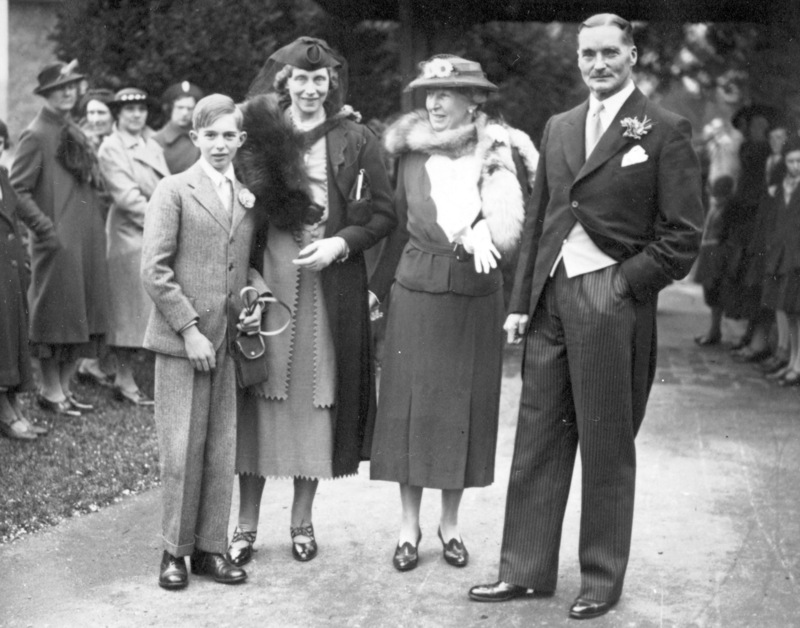 Morrice died in Tasmania while Harry died at Halstead Hall, Kent. Caroline Eliza, the daughter of Emma Elizabeth Man and Charles Edward Walch died in 1862. Squeezed between these years (1861 – 1864) were the births of Morrice and Harry’s four daughters, all of whom survived to adulthood. 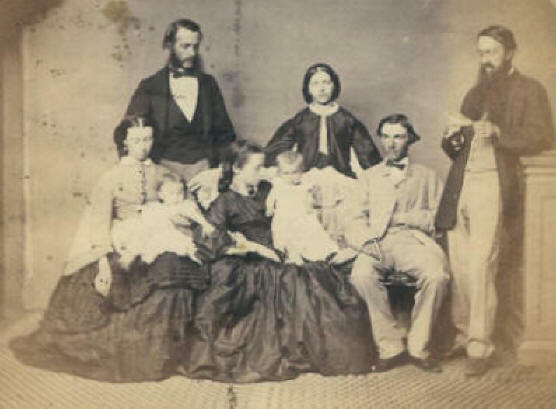 The photograph must therefore have been taken some time shortly before November 1863, if Emma Elizabeth is the one seated in the middle. Below at Peter Man’s wedding on 23 April 1938, from left to right: Henry Man, his mother Nora (Loeck) Man (the wife of Harry Morgan Stoe Man), Beryl (Holberton) Man (the wife of Hubert William Man), and Michael Leland Crosthwait whose mother was Katherine (Kitty) Rosa) Man. For those readers of the online publication: ‘Blake / An Illustrated Quarterly’ and in particular G. E. Bentley, Jr.’s article: ‘William Blake and His Circle: A Checklist …. 2012’ where mention is made of this website, and of George Cumberland in particular, the page that is referenced in that article can be accessed HERE. NOTE ON CALENDAR: England continued to use the Julian calendar up to 1752 whereas the Gregorian (‘New Style’) calendar had been adopted on the Continent in 1582. Scotland changed the beginning of the year from March 25 to January 1 in 1600, but did not adopt the Gregorian calendar until 1752 at the same time as England. By 1751 the Julian calendar was 11 days out of step. In that year Chesterfield’s Act stated that 1 January should be the first day of the year (previously the year commenced on 25 March). Thus 1750 had commenced on 25 March 1750 and ended 24 March 1750/51. 1751 commenced 25 March 1751 and ended on 31 December 1751. 1752 commenced 1 January 1752 and ended 31 December 1752. However, 11 days of September were omitted to bring it into line with the Gregorian calendar. So the convention in expressing dates that occurred in the period from 1 January to 24 March in the years before 1752 is to first show the year that would be shown on the record (according to the Julian calendar), then show the year it would have been if expressed according to our present calendar (Gregorian). Thus Jonas Man’s burial is shown as 1661/2 to reflect the two calendars: ‘1661’ (Julian calendar) and ‘1662’ (Gregorian calendar).